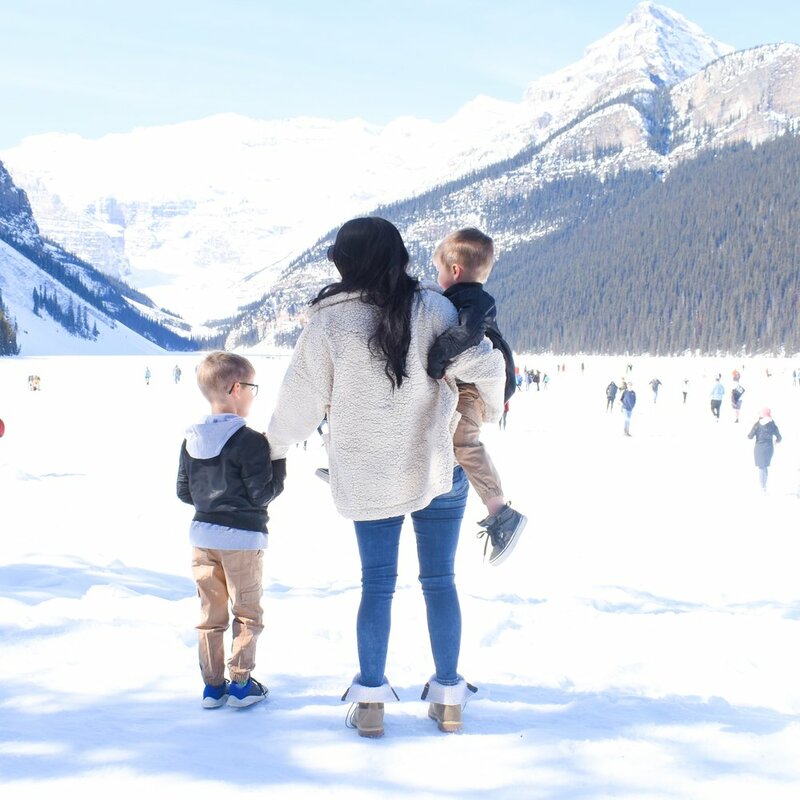 The mountains are just an hour away from us, and Lake Louise is just over two, so we have been trying to get out there every weekend since the snow is off the roads and adventure is calling us! I haven’t visited Lake Louise in years which is ridiculous for how close it is, so when we booked our room at Lake Louise Inn, I was beyond excited! I knew we were going to have a great time, but I had no idea what was in store for us! We decided to explore the lake before checking into our hotel, which I thought may have some frozen patches, but it was actually still completely frozen over! We had an absolute blast running around the frozen playground with the most amazing view. Checking into Lake Louise Inn was the first thing that amazed me about this beautiful hotel, other than the gorgeous mountain view directly behind it! The staff were absolutely amazing the entire time from start to finish which was a breath of fresh air in itself. 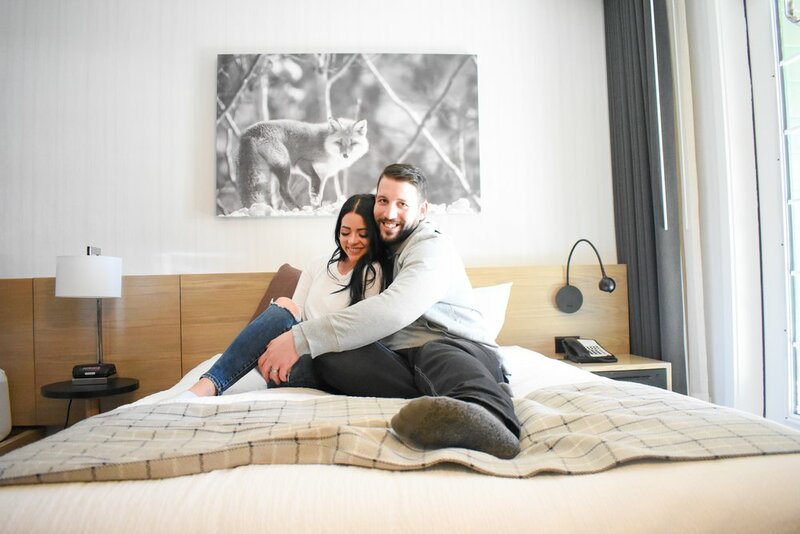 The hotel has amazing food options, a large pool including THREE hot tubs, a bonfire time on Saturday evenings which include smores and a cash bar, gorgeous updated rooms and bathrooms, and the list goes on! We spent the weekend with our best friends who have four kids, so I was hoping we’d be able to get rooms close to each other - boy was I surprised when we opened our door to find THREE ROOMS JOINED between doors! This is such an amazing hotel for larger groups like us, and the Timberwolf restaurant accommodated us as well! The view from the balcony was mind-blowing, so I spent my evening sipping wine enjoying watching the sun set behind the mountains, and enjoyed sipping my coffee in the same spot the next morning! 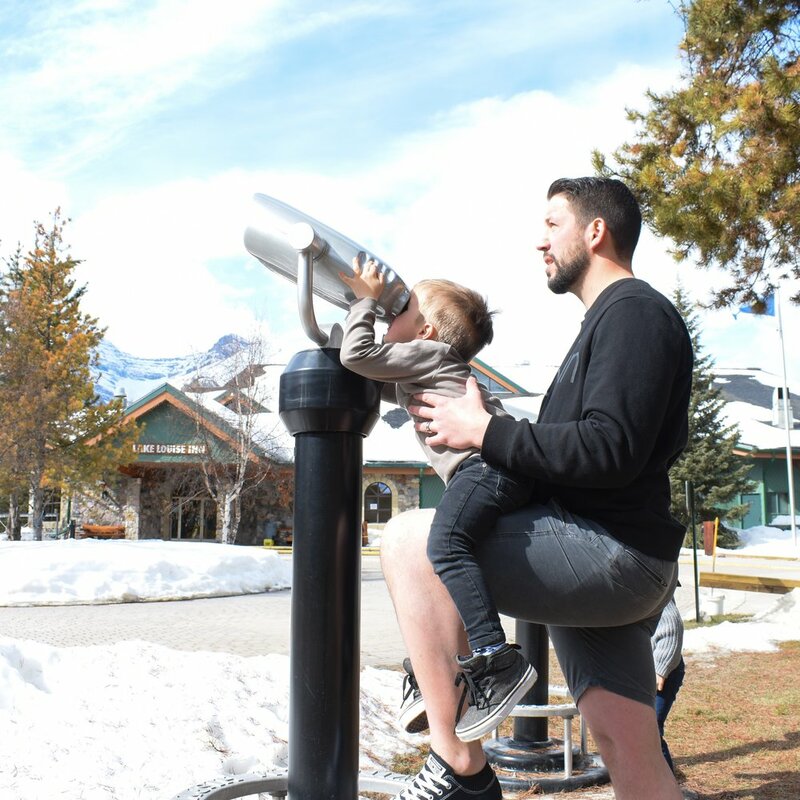 The grounds of Lake Louise Inn are stunning, and the kids absolutely loved exploring and seeing the mountains through these hi-spy viewing machines. We had an absolutely amazing time in Lake Louise, to say the least, and we will be back as soon as physically possible! If you would like to check out Lake Louise Inn for yourself click here, and I highly recommend that you do!